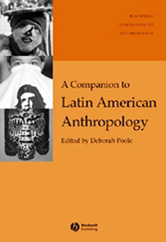 Comprised of newly commissioned chapters, this defining reference volume on Latin America introduces English-language readers to the debates, traditions, and sensibilities that have shaped the study of this diverse region.Contributors include some of the most prominent figures in Latin American and Latin Americanist anthropology. Offers previously unpublished work from Latin America scholars that has been translated into English explicitly for this volume. Includes overviews of national anthropologies in Mexico, Cuba, Peru, Argentina, Ecuador, Bolivia, Colombia, and Brazil, and is also topically focused on new research. Draws on original ethnographic and archival research. Highlights national and regional debates. Provides a vivid sense of how anthropologists often combine intellectual and political work to address the pressing social and cultural issues of Latin America.